Tommy WILLIAMSON [Parents] was born in Of Lone Grove, Carter, Oklahma. Tommy married Suzzette. Suzzette. Suzzette married Tommy WILLIAMSON. FREEMAN. FREEMAN married Wanda Lean JONES. Wanda Lean JONES [Parents] was born on 14 Jul 1931 in Sasakwa, Seminole, Oklahoma. She died on 29 May 1983 in Nowata, Nowata, Oklahoma. Wanda married FREEMAN. Wesley B. JONES [Parents] was born on 30 Nov 1822 in Possibly, , Kentucky. He died in 1895 in Probably, Cass, Texas. Wesley married Keziah "Kisey" DAVIS on 13 May 1854 in , Cass, Texas. Keziah "Kisey" DAVIS [Parents] was born in 1839 in Georgia, Limestone, Alabama. She died in 1879 in , Cass, Texas. Keziah married Wesley B. JONES on 13 May 1854 in , Cass, Texas. F i Weltha JONES was born in 1855. She died on 27 Jan 1932. M ii Alfred JONES was born in 1857. He died in 1889. Elizabeth Sarah JONES was born on 29 Nov 1860 in , Cass, Texas. She died on 18 Mar 1938 in Kinta, Haskell, Oklahoma. Emaline JONES was born in 1861 in , Cass, Texas. She died about 1900. M v James T. JONES was born on 16 May 1863. He died on 23 Dec 1929. M vi El Nathan "Bully" JONES was born on 27 Mar 1866. He died on 14 Oct 1954. M vii George Seaborn "Sebe" JONES "Sr" was born on 3 Jun 1868. He died on 25 Feb 1922. Anna Seaborn JONES was born on 3 Jun 1868 in , Cass, Texas. She died in Nov 1905 in Leguire, Haskell, Oklahoma. M ix Jesse Saul JONES was born on 1 Sep 1869. He died on 13 Feb 1835. M x John Newman JONES was born on 2 Jan 1871. He died on 9 Apr 1942. Wesley B. JONES [Parents] was born on 30 Nov 1822 in Possibly, , Kentucky. He died in 1895 in Probably, Cass, Texas. Wesley married Belle BROWN on 27 Sep 1880 in , Cass, Texas. Belle BROWN was born in 1822. She died in 1886 in , , Texas. Belle married Wesley B. JONES on 27 Sep 1880 in , Cass, Texas. Margaret Ellen "Maggie" JONES was born about 1882 in , Cass, Texas. He died about 1956 in Muldrow, Sequoyah, Oklahoma. F iii Mary Frances JONES was born in 1885. She died on 4 Jan 1958. 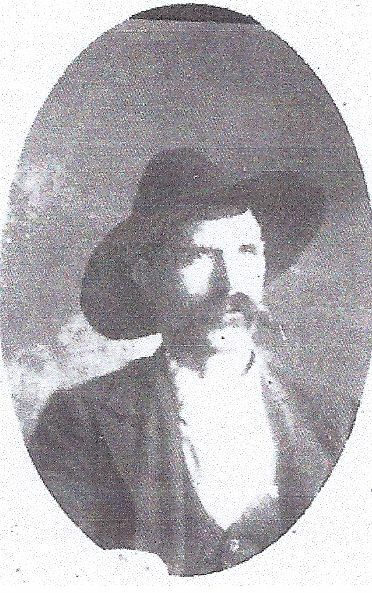 George Seaborn "Sebe" JONES "Sr" [Parents] was born on 3 Jun 1868 in , Cass, Texas. He died on 25 Feb 1922 in Kinta, Haskell, Oklahoma. George married Dolly Mae Pace NICHOLS on 16 May 1895 in Talihina, Ltimer, (Indian Territory), Oklahoma. Dolly Mae Pace NICHOLS was born on 14 Feb 1878 in Arkansas City, , Arkansas. She died on 18 Jan 1941 in Wasco, Kern, California. Dolly married George Seaborn "Sebe" JONES "Sr" on 16 May 1895 in Talihina, Ltimer, (Indian Territory), Oklahoma. F i Tobie D. JONES was born on 7 Nov 1896. She died on 3 Sep 1973. F ii Toney Mae JONES was born on 19 Sep 1901. She died on 15 Apr 1980. F iii Leona Lee JONES was born on 4 Aug 1904. She died on 8 May 1989. Captola JONES was born on 20 Sep 1906 in Indian City, Payne, Indian Territory, Oklahoma. She died on 12 Aug 1941 in Shafter, Kern, California. M v Jink Pleasant "Plez" JONES was born on 4 Jun 1908. He died on 3 Jun 1970. Emmett Franklin JONES was born on 2 May 1911 in , Haskell, Oklahoma. He died on 31 Jul 1931 in , Haskell, Oklahoma. M vii Luke David JONES was born on 15 Mar 1914. He died on 19 Nov 1993. M viii George Seaborn "Monk" JONES "Jr" was born on 23 Jan 1918. He died on 21 Nov 1989. Jink Pleasant "Plez" JONES [Parents] was born on 4 Jun 1908 in Kinta, Haskell, Oklahoma. He died on 3 Jun 1970 in Wasco, Kern, California. He was buried in Shafter Memorial Park, Shafter, Kern, California. Jink married Emma Mae OWENS. Emma Mae OWENS [Parents] was born on 28 Sep 1910 in Stonewall, Pontotoc, Oklahoma. She died on 4 Oct 1993 in Ada, Pontotoc, Oklahoma. Emma married Jink Pleasant "Plez" JONES. F i Emma Charlene JONES was born on 9 Jul 1934. She died on 4 Nov 2008. F ii Retha Pauline JONES was born on 3 Apr 1935. She died on 25 Jun 2007. Homer T. HULSEY was born on 17 Apr 1925. He died on 21 Jan 1987 in Stonewall, Pontotoc, Oklahoma. Homer married Emma Charlene JONES on 18 Jan 1951 in Konawa, Seminole, Oklahoma. Emma Charlene JONES [Parents] was born on 9 Jul 1934 in Stonewall, Coal, Oklahoma. She died on 4 Nov 2008 in Local Hospital, Ada, Pontotoc, Oklahoma. She was buried in Rosedale Cemetery, Ada, Pontotoc, Oklahoma. Emma married Homer T. HULSEY on 18 Jan 1951 in Konawa, Seminole, Oklahoma. Brandon HULSEY was born in Of Amarillo, Potter, Texas. Thad HULSEY was born in Of Rapid City, , South Dakota. Devin HULSEY was born in Of Sapulpa, Creek, Oklahoma. William HARRISON. William married Carol HULSEY. Carol HULSEY [Parents] was born in Of Wewoka, Seminole, Oklahoma. Carol married William HARRISON. Wendy HARRISON was born in Of Wewoka, Seminole, Oklahoma. Kelly HARRISON was born in Of Wewoka, Seminole, Oklahoma. Sammy BILLY. Sammy married Rhoda HULSEY. Rhoda HULSEY [Parents] was born in Of Fittstown, Pontotoc, Oklahoma. Rhoda married Sammy BILLY. BROWN. BROWN married Christine HULSEY. Christine HULSEY [Parents]. Christine married BROWN.